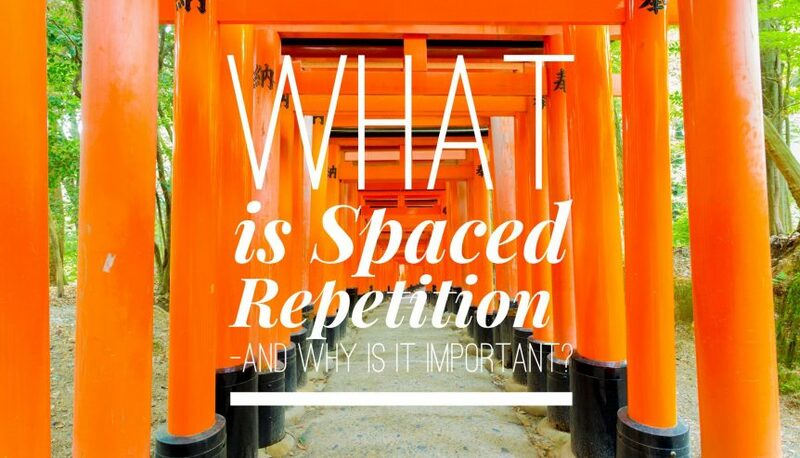 What is Spaced Repetition and Why is It Important? Knowledge retention over time is one of the biggest challenges organisations face when offering training or educational courses. Learners may be able to remember the content of the course when quizzed or tested on it immediately after they finish, but results dramatically worsen when you ask them the same questions weeks, months, or years later. Spaced repetition is a way solve this problem. It is a learning technique that I like to incorporate in almost all e-learning courses we develop, although there is still a lack of general understanding of what spaced repetition is. It involves learning material over a longer period of time to better match how our brains work. You can do it manually but e-learning software and solutions automate much of the process while also making its delivery more accurate. Spaced repetition is a learning technique that involves gradually increasing the interval between reviews of material already learned. It is a common technique when teaching foreign languages, but it has applications for all types of learning. Here is a simple example of how it works – a course presents new information to the learner comprising several concepts, ideas, or pieces of knowledge they must retain. The learner then continues to the next stage of the course, but this continuation includes regular reviews of previously learned material. Over time, reviews of previously learned material become less frequent as the information embeds in the learner’s memory. Another way of describing spaced repetition is that it stops learners from forgetting. After all, people forget new information over time, particularly when it is information they don’t use often. In addition, when the information is new, learners can forget it very quickly. Reviewing the information learned frequently during the learning process helps to prevent this. The longer you know and actively engage with the information (by reviewing it), the length of time you can retain it increases. Therefore, the time between each review gets longer the better you are at recalling the information. This continues until the knowledge is in the learner’s long-term memory. Spaced repetition is a more effective way to learn because it is in tune with the way our brains work. Researchers have found the brain is not very good at storing lots of information in short spaces of time. This is why learning techniques like cramming are so ineffective, even though it is popular with students getting ready to sit exams. Cramming is particularly ineffective when you look at long-term results – using spaced repetition techniques is much better at achieving long-term knowledge retention. This is because the brain is much better at storing information presented to it on a regular and consistent basis. You can probably see this in your own life – information you encounter regularly is much easier to remember than things you don’t encounter very often. The more often you see the information and engage with it, the less likely you are to forget it. While spaced repetition is now much more accessible to organisations because of the availability of e-learning tools, it is not a new learning technique. In fact, spaced repetition was first identified as being beneficial to learning in 1932. E-learning tools make the process much easier, however, as it is possible to automate the timing of repetition intervals in a way that is personal to individual learners. For example, a learner that picks up a new concept quickly will progress to less frequent revisions than someone doing the same course but who finds it more difficult to recall the information learned. Also, delivering information in short, bite-size modules is a crucial element of most good e-learning courses. This is the best way to achieve spaced repetition. Of course, you will get the best results if the team designing your course understands spaced repetition as well as the technology required to make it happen. The benefits to your business when you successfully implement a course with space repetition elements are substantial – learners will learn faster and they are much more likely to retain the information.